This bird is sweet until you sharpen its beak and pump it up with mystery supplements, cops said. The leaders of an alleged finch-fighting ring apparently used some disturbing measures to make sweet little birds go into brutal combat. They sharpened their innocent little beaks and used mystery supplements, according to an arrest affidavit unsealed Thursday. Some of the saffron finches seized when cops busted a bizarre bird fighting ring had beaks sharpened to a point and at least one had a sharp metal object attached, police said. The arrest affidavit unsealed Thursday offers more grim details spelling out the recipe the suspects allegedly used to turn the song birds into fighting machines -- superglue, antibiotics, skin and blood supplements and a mini digital scale. There were also powders. Cops don’t know what they are, but they're testing them. They think this stuff was all used to treat injured birds and increase their stamina to fight. Police arrested 19 people from Connecticut, Massachusetts and New Jersey and seized 150 of the birds when they raided the house last month. 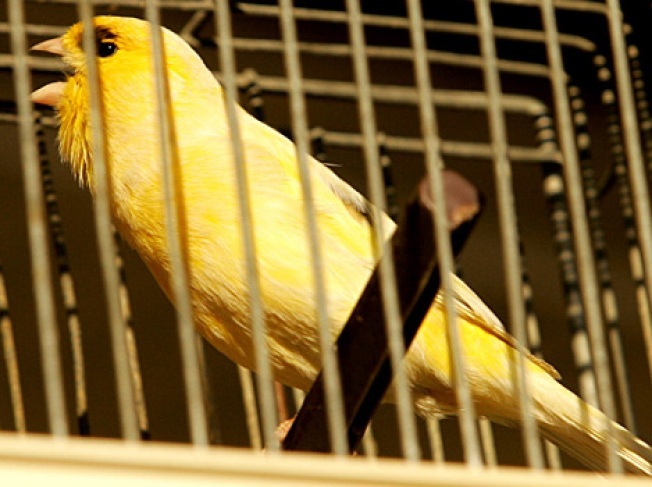 The homeowner denied the charges and says he had the birds “for singing.” From the evidence, it seems the only song these birdies might have been singing is the saffron finch fight song.